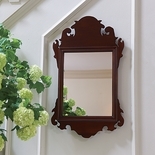 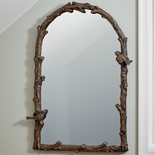 In the 18th century, as today, mirrors were used to reflect light and brighten rooms. 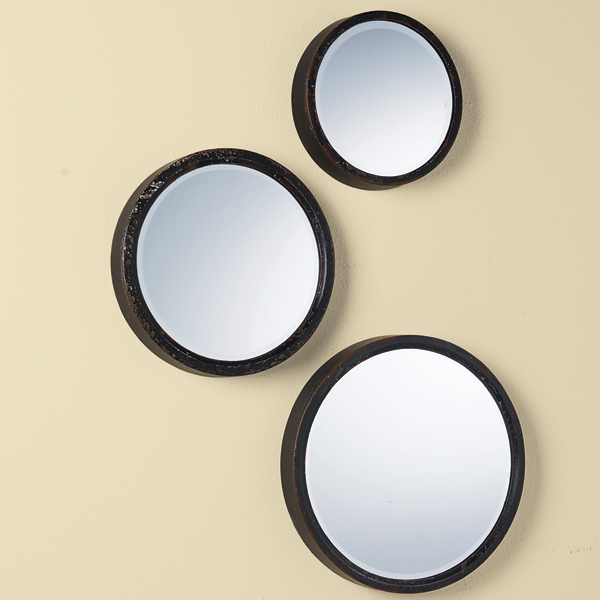 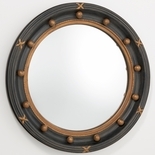 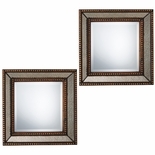 Three sizes of circular beveled mirrors, each framed in distressed iron, make striking wall d�cor. 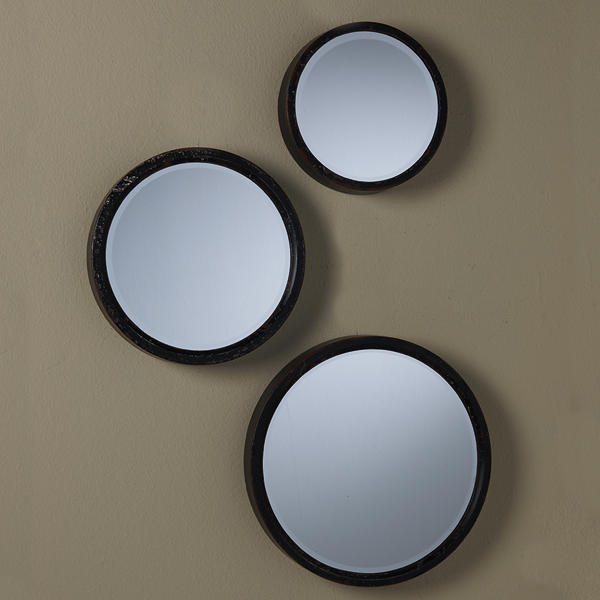 12", 10" and 8" dia., 2"d. Sold as a set of three.